An interview with John Pilger, conducted by Michael Albert. Why would the U.S. want Venezuela’s government overthrown? There are straightforward principles and dynamics at work here. Washington wants to get rid of the Venezuelan government because it is independent of U.S. designs for the region and because Venezuela has the greatest proven oil reserves in the world and uses its oil revenue to improve the quality of ordinary lives. Venezuela remains a source of inspiration for social reform in a continent ravaged by an historically rapacious U.S. An Oxfam report once famously described the Sandinista revolution in Nicaragua as ‘the threat of a good example’. That has been true in Venezuela since Hugo Chavez won his first election. The ‘threat’ of Venezuela is greater, of course, because it is not tiny and weak; it is rich and influential and regarded as such by China. The remarkable change in fortunes for millions of people in Latin America is at the heart of U.S. hostility. The U.S. has been the undeclared enemy of social progress in Latin America for two centuries. It doesn’t matter who has been in the White House: Barack Obama or Teddy Roosevelt; the U.S. will not tolerate countries with governments and cultures that put the needs of their own people first and refuse to promote or succumb to U.S. demands and pressures. A reformist social democracy with a capitalist base – such as Venezuela – is not excused by the rulers of the world. What is inexcusable is Venezuela’s political independence; only complete deference is acceptable. The ‘survival’ of Chavista Venezuela is a testament to the support of ordinary Venezuelans for their elected government – that was clear to me when I was last there. Venezuela’s weakness is that the political ‘opposition’ — those I would call the ‘East Caracas Mob’ – represent powerful interests who have been allowed to retain critical economic power. Only when that power is diminished will Venezuela shake off the constant menace of foreign-backed, often criminal subversion. No society should have to deal with that, year in, year out. What methods has the U.S. already used and would you anticipate their using to unseat the Bolivarian Revolution? There are the usual crop of quislings and spies; they come and go with their media theatre of fake revelations, but the principal enemy is the media. You may recall the Venezuelan admiral who was one of the coup-plotters against Chavez in 2002, boasting during his brief tenure in power, ‘Our secret weapon was the media’. The Venezuelan media, especially television, were active participants in that coup, lying that supporters of the government were firing into a crowd of protestors from a bridge. False images and headlines went around the world. The New York Times joined in, welcoming the overthrow of a democratic ‘anti-American’ government; it usually does. Something similar happened in Caracas last year when vicious right-wing mobs were lauded as ‘peaceful protestors’ who were being ‘repressed’. This was undoubtedly the start of a Washington-backed ‘colour revolution’ openly backed by the likes of the National Endowment for Democracy – a user-friendly CIA clone. It was uncannily like the coup that Washington successfully staged in Ukraine last year. As in Kiev, in Venezuela the ‘peaceful protestors’ set fire to government buildings and deployed snipers and were lauded by western politicians and the western media. The strategy is almost certainly to push the Maduro government to the right and so alienate its popular base. Depicting the government as dictatorial and incompetent has long been an article of bad faith among journalists and broadcasters in Venezuela and in the U.S., the U.K. and Europe. One recent U.S. ‘story’ was that of a ‘U.S. 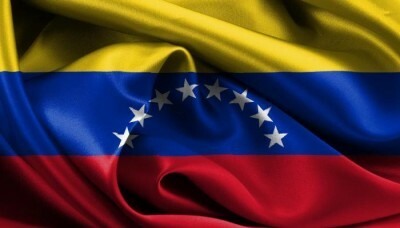 scientist jailed for trying to help Venezuela build bombs’. The implication was that Venezuela was harbouring ‘nuclear terrorists’. In fact, the disgruntled nuclear physicist had no connection whatsoever with Venezuela. Why might now be a prime time, internationally, for pushing toward a coup? If the primary problem is Venezuela being an example that could spread, is the emergence of a receptive audience for that example in Europe adding to the U.S. response? It’s important to understand that Washington is ruled by true extremists, once known inside the Beltway as ‘the crazies’. This has been true since before 9/11. A few are outright fascists. Asserting U.S. dominance is their undisguised game and, as the events in Ukraine demonstrate, they are prepared to risk a nuclear war with Russia. These people should be the common enemy of all sane human beings. In Venezuela, they want a coup so that they can roll-back of some of the world’s most important social reforms – such as in Bolivia and Ecuador. They’ve already crushed the hopes of ordinary people in Honduras. The current conspiracy between the U.S. and Saudi Arabia to lower the price of oil is meant to achieve something more spectacular in Venezuela, and Russia. What do you think the best approach might be to warding off U.S. machinations, and those of domestic Venezuelan elites as well, for the Bolivarians? The majority people of Venezuela, and their government, need to tell the world the truth about the attacks on their country. There is a stirring across the world, and many people are listening. They don’t want perpetual instability, perpetual poverty, perpetual war, perpetual rule by the few. And they identify the principal enemy; look at the international polling surveys that ask which country presents the greatest danger to humanity. The majority of people overwhelmingly point to the U.S., and to its numerous campaigns of terror and subversion. What do you think is the immediate responsibility of leftists outside Venezuela, and particularly in the U.S.
That begs a question: who are these ‘leftists’? Are they the millions of liberal North Americans seduced by the specious rise of Obama and silenced by his criminalising of freedom of information and dissent? Are they those who believe what they are told by the New York Times, the Washington Post, the Guardian, the BBC? It’s an important question. ‘Leftist’ has never been a more disputed and misappropriated term. My sense is that people who live on the edge and struggle against US-backed forces in Latin America understood the true meaning of the word, just as they identify a common enemy. If we share their principles, and a modicum of their courage, we should take direct action in our own countries, starting, I would suggest, with the propagandists in the media. Yes, it’s our responsibility, and it has never been more urgent.